The windshield of a car is a very important piece. Not only is it what keeps the elements from affecting your ability to drive but it also is what allows you to see what is going on around you. If a windshield is not properly up kept, this can lead to many problems and like with anything else related to your car; if these problems are not addressed quickly, they can lead to more issues and this is going to cause you to have to spend much more money than if you would have fixed it in the first place. 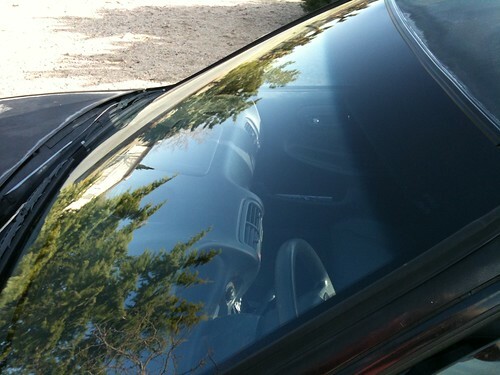 We hope this article will help you better understand just how important your windshield is. Too many people just think of it as something that maintains itself. This is not the case. Just like every other part of your car, you should give it special attention at least once a week to make sure everything is in order. The most important thing when you are on the road is that you are safe and prepared for anything. As you can probably already imagine, being able to see where you are going is important. Not only does it help you prepare for things that are about to come but it is just nice to know that you never have to question where it is you are going. Have you ever driven by someone who had a really, really dirty windshield or one that had cracks basically taking up the whole piece? While they may think they can see everything, it is easy to become distracted by those cracks or not be able to tell just how close an object is. This is why it’s always important to be safe instead of being sorry later. These days, any way you can save money is important and a nice windshield means less chances of an unnecessary accident that may end up raising your car insurance every single month. While many people seem to think it is perfectly fine to leave cracks as they are unless they are large, this is actually not a good idea. Did you know even the smallest of cracks can grow drastically within an instant even if the weather were to change? Consider this, glass is going to expand when the weather is warm and constrict when the weather is cold. With that being said, you can probably imagine what this is going to mean for your windshield cracks. Trust us, once they start moving, those cracks don’t want to stop and the larger they are, the most expensive they are to fix. Typically cracks that are smaller than the size of a dollar bill are going to be quite simple and inexpensive to have filled. Cleaning your windshield is important. If you live in an area where there is a lot of rain that can be expected, then you may also want to add Rainex as a way to better your driving experience during those nasty storms. Visibility and safety are the two most important things you should have on your mind whenever you’re in your car. While it’s hard to predict the future and the weather, you can take proper steps in order to be prepared for just about anything so you won’t be on the road and having a difficult time seeing a few feet ahead of you. Sometimes windshield wipers just aren’t enough to keep up. Your windshield wipers are a very important part of your windshield, while Rainex can help (and can be applied to them as well); they are what is going to truly get the rain off of your windshield and out of your view. Windshield wipers should be wiped regularly with a wet cloth in order to avoid streaking and spreading of whatever particles they may have come into contact with. This is something you can easily and quickly do whenever you get gas. As we mentioned above, even the smallest of cracks or nicks can change what seems like overnight. To avoid this, you should inspect your windshield on a regular basis. Not only is it going to make your car safer, but it’s also going to save you money in the long run. Can you imagine just how disappointed you would be if all of a sudden instead of needing to pay a few bucks to get your windshield repaired; you had to completely replace the entire thing. Not only is that going to cost you quite a bit more money but so is the installation. As you probably already know, labor is the most expensive part of any car repair. Do Hybrid Cars Really Save Money?